I’m not even sure if this is a fair fight. 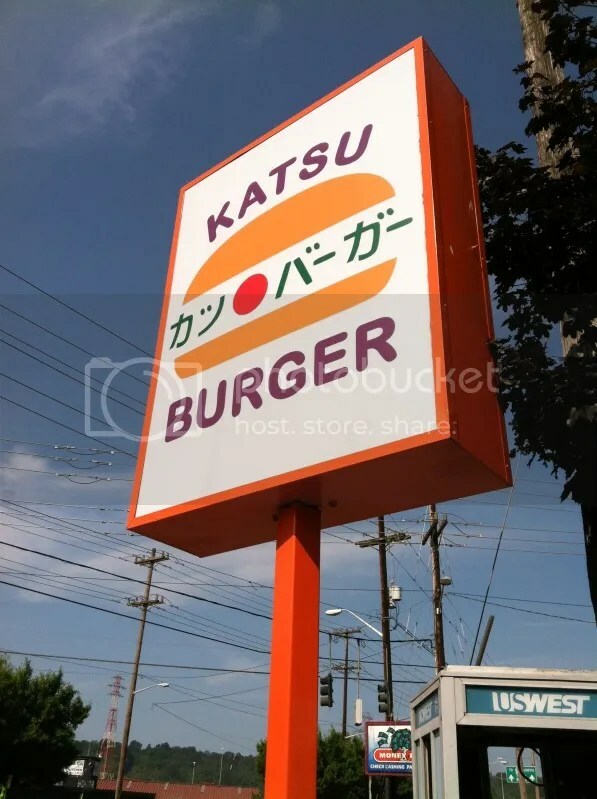 I’m such a Japanophile that the minute I heard there was a place called Katsu Burger, I knew I had to run and eat there immediately. While quite off the beaten path of downtown Seattle, located in an industrial park in the Georgetown neighborhood, I promise that when you make the trek you won’t be disappointed. The walls are adorned with kawaii illustrations, whacky Japanese burger signage and other Anime lover/Otaku favorites. The burgers are named awesome things like the Tokyo Tower, Gozilla Attack and the Ohayu Gozaimasu. Their fries can be topped with Japanese curry or Nori flakes. They even have a black sesame milkshake (my fav!). The burgers are all served “tonkatsu” style (tonkatsu is traditionally a breaded & fried pork culet) but you can also order your burger with beef, chicken or tofu. I opted for the traditional beef Ohayo Gozaimasu burger, while Brian chose pork. Since “Ohayo Gozaimasu” means “Good Morning” in Japanese, the burger was topped with a fried egg, bacon, cheddar, Japanese mayo (the Kewpie kind) and Tonkatsu sauce (yum!). It was love and first bite. Despite all the toppings, the presentation under the bun was perfect – definitely up to other Japanese food standards I have experienced. I wish there was an East Coast equivalent to this burger; I want it again soooooooo bad! It was all the things I love in a burger but on a burger that was deep fried! If that doesn’t scream AMERICAN, then I don’t know what does. Katsu Burger was hands down the winner before I even ate the next. 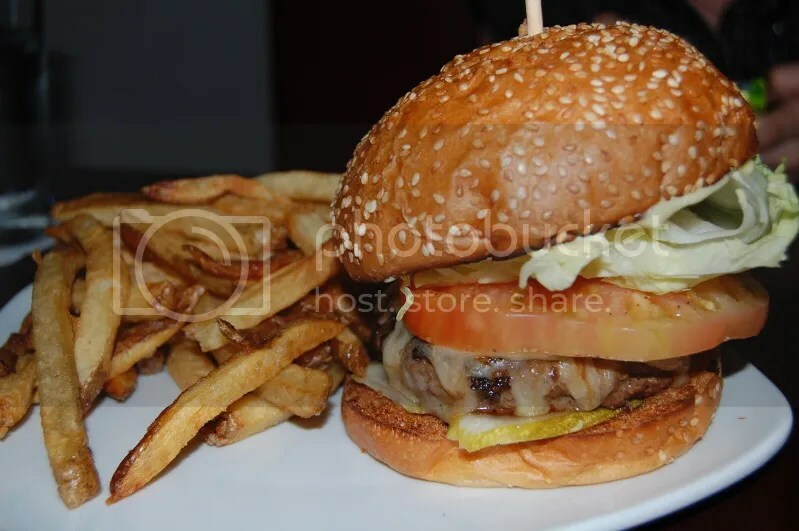 Our runner-up here is Slow Bar in Portland, one of the staples on their “best burger in the city” list. In an innocuous bar on the other side of the Willamette from Downtown Portland you’ll find Slow Bar, which is I’m sure a comfy hipster bar at night but we were there at 2 in the afternoon. I ordered up their Summer Slowburger (since it was nearly 100 degrees out) which is 1/2lb. Painted Hills natural beef, Grafton white cheddar, heirloom tomato, iceberg lettuce, dill pickle. I ordered it medium and it came out more on the well side, which was a disappointment (a disappointment I seem to be having far too frequently, sadly). It was on one of those cute seeded buns again, made of nicely toasted, soft challah bread. I loved the heirloom tomato and the pickles; presentation was great. And it wasn’t heavy tasting thanks to the natural beef! (They need to get on that trend out here.) If it had been cooked the way I asked, this could have made the race much closer. Still, it was a decent burger that I’d love to try again. That makes the final burger score: SEA, 2 – PDX, 1. Posted in buns, burger, burgers, japan, Katsu Burger, PDX, Portland, seattle, Uncategorized. Bookmark the permalink.